Note added: this is now in print as Phys. Rev. Lett. 121, 257002 – Published 21 December 2018. DOI: https://doi.org/10.1103/PhysRevLett.121.257002. In our recent pre-print we present experimental data and theoretical analysis relating to the superconducting state of two Re-based superconductors, including pure Rhenium. The data supports time-reversal symmetry breaking in these compounds and suggests that there is something special about the electronic structure of Re that leads to the observed phenomenon – though our understanding is at present very primitive. Incidentally, this is the largest collaboration I have been involved in so far – the paper has 18 authors from 13 institutions across Switzerland, China, the UK, Taiwan and India! It has been accepted for publication in Physical Review Letters (the preprint version includes the Supplemental Material as an Appendix). To trace the origin of time-reversal symmetry breaking (TRSB) in Re-based superconductors, we performed comparative muon-spin rotation/relaxation (μSR) studies of superconducting noncentrosymmetric Re0.82Nb0.18 (Tc=8.8 K) and centrosymmetric Re (Tc=2.7 K). 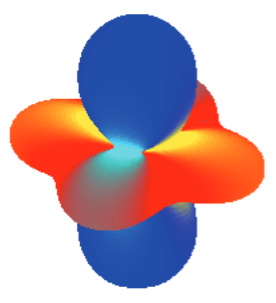 In Re0.82Nb0.18, the low temperature superfluid density and the electronic specific heat evidence a fully-gapped superconducting state, whose enhanced gap magnitude and specific-heat discontinuity suggest a moderately strong electron-phonon coupling. In both Re0.82Nb0.18 and pure Re, the spontaneous magnetic fields revealed by zero-field μSR below Tc indicate time-reversal symmetry breaking and thus unconventional superconductivity. The concomitant occurrence of TRSB in centrosymmetric Re and noncentrosymmetric ReT (T = transition metal), yet its preservation in the isostructural noncentrosymmetric superconductors Mg10Ir19B16 and Nb0.5Os0.5, strongly suggests that the local electronic structure of Re is crucial for understanding the TRSB superconducting state in Re and ReT. We discuss the superconducting order parameter symmetries that are compatible with the observations.